Business coaching is a service in which business leaders, often owners or executives, engage in one-on-one dialogue with a business expert or coach to grow their business and improve interpersonal and professional skills. We looked at the most popular business coaching services that covered the range of options for small business, including one-on-one and group coaching. We recommend ActionCOACH as the best business coaching organization for small businesses as they have been providing proven business coaching services for 25 years. They focus on all aspects of small business coaching. They’re perfect for startups and new entrepreneurs, as well as existing business owners who need a fresh perspective. They also offer a guarantee to ensure clients are satisfied. ActionCOACH is the only large coaching organization that’s franchised. While that means that quality can vary based on the location, they were among the top 50 best franchises in 2017 from the International Franchise Association (IFA). They have over 1,000 coaches available in 74 countries, so likely have a coach in your location. They start the coaching process by assessing where you’re at with your business and helping you identify and solve the most pressing business issues. During your initial free coaching session they’ll ask you questions like “What’s the number one challenge in your business?” and “What is it costing you not being able to solve that problem?” Once you frame your goals, they’ll assign you a coach who will help you reach them. After a free one-hour session, ActionCOACH provides you with four package options that range from $1,797 for Start Up to $4,995 for the Freedom Coach package per month — the main difference being the frequency and intensity of the coaching sessions. A one time alignment package costs $1,495 and provides assessments and a ½-day coaching session. Overall, we recommend both the Alignment package to complete initial assessments followed by the Start Up coaching package for sole proprietors and businesses with one or two employees. Otherwise, choose the package that best suits your small business needs. Step Up focuses on basic business planning while Power Up is better suited to businesses anticipating rapid short-term growth. Freedom Coach is priced for larger businesses planning for rapid change, growth, and expansion. Coaching is offered primarily one-on-one, or you can choose a small group format which they call the Mentor Club. Small groups are often a great way to begin a coaching program, as you’re with other small business owners who may have similar goals. The sessions are offered via Zoom or other video conference tool so you can meet face-to-face with your coach. ActionCOACH offers four levels of one-on-one coaching that they call Start Up, Step Up, Power Up, and Freedom Coach to meet the needs of business owners at various stages of their business lifecycle. In addition to coaching, ActionCOACH has other great resources and options for clients, such as seminars, peer networking, books, and DVDs. After completing a robust coaching assessment to determine their fitness to be a coach or purchase a franchise, coaches undergo a five to ten day proprietary training program. You have to have a “strong business background” to qualify and you get bonus points in the application process if you’ve owned or managed a business before, or have a sales background. Coaches bring their previous expertise (for example, e-commerce or leadership) together with a great methodology to serve clients in all aspects of running a business. 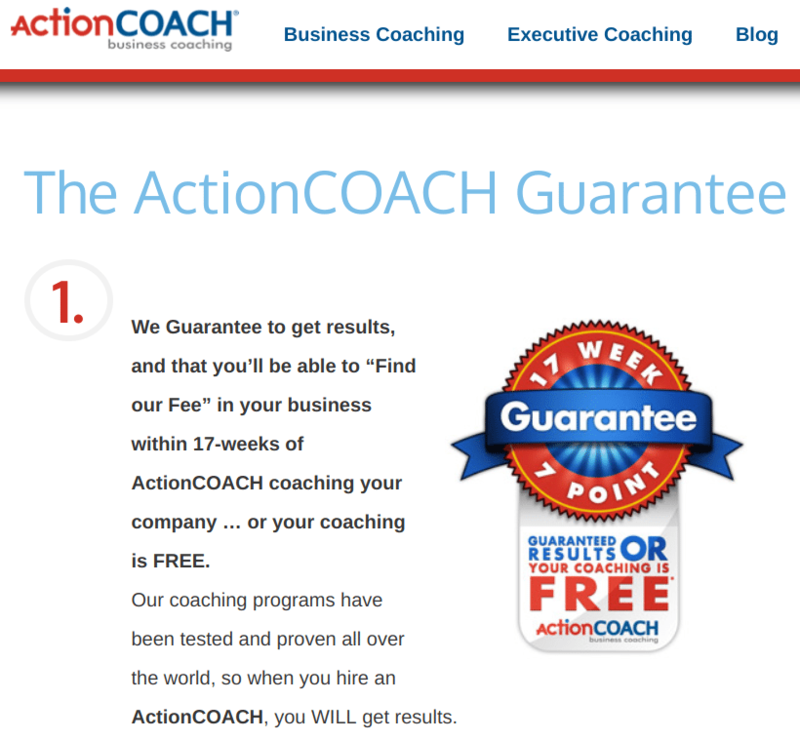 ActionCOACH was the first organization dedicated specifically to business coaching. They have a proven coaching model. However, they’re more expensive than some of the other coaching companies. And because they’re franchised, quality could vary based on location although the guarantee takes some of that risk off the table. We recommend Tony Robbins’ business coaching services because of the depth of coaching experience, and focus on the personal motivation of the individual being coached. The Tony Robbins’ coaching program, referred to as Results Coaching, leverages the founder’s successful approach to motivating others. Tony Robbins’ business coaching focuses on the person — their internal motivational factors. As one of the largest coaching organizations, trained coaches are available worldwide. His organization claims to have helped over three million people in more than 100 countries achieve success using his methods. You’re probably aware of Tony Robbins’ motivational presentations, which can help in any area of life. Similarly, the coaching provided by Tony Robbins is equally as broad. That makes Tony Robbins best for business owners that want some interpersonal insights. You can receive coaching on business skills, life skills, or both — and there’s often overlap. For example, increasing your productivity at work can improve work-life balance and let you enjoy a richer personal life. Tony Robbins is different from most of the other business coaching companies that zero in only on your business, but focus less on what motivates you in the first place. With Tony Robbins, they look first at what makes you tick as a person and help you apply that to your business goals. Your first coaching session is free. After that, one-on-one coaching is offered in packages based on timeframes. For example a six-month package costs $3,000 and an 18-month package costs $12,000. These coaching packages start with an assessment of your business and/or personal goals. Coaching is provided every 7-14 days, for an average of about three sessions per month. Your free coaching session lets you complete a DISC self-evaluation, which takes only about 20 minutes and provides incredible insights into how you make decisions, interact with others, and lead. Other organizations charge for these kinds of evaluations. That alone is worth signing up for a free session. The coaching format is a one-on-one phone session. Some of the coaches use Skype for face-to-face conversations. Coaching sessions are scheduled about three times a month, to ensure you touch base with your coach at least every 7-14 days. 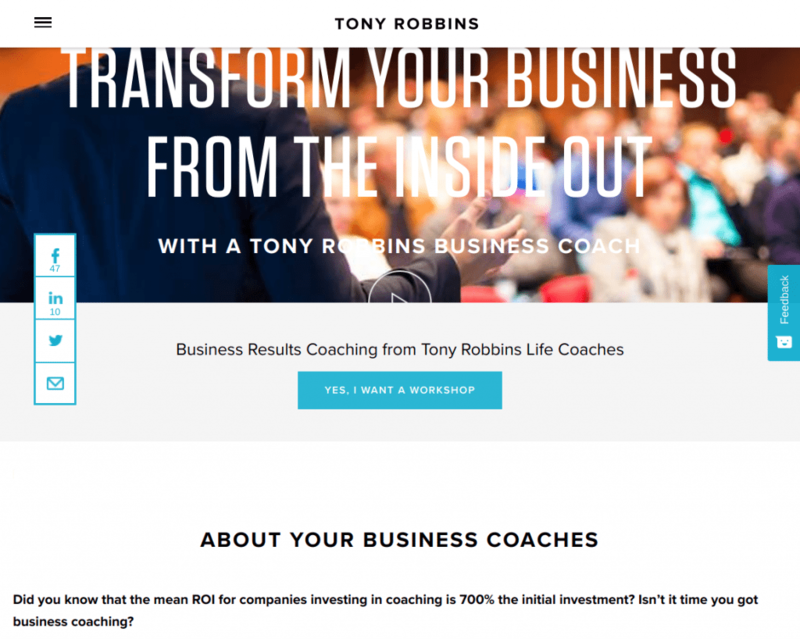 Who are Tony Robbins’ Coaches? Tony Robbins received his training/certification through Dale Carnegie and now personally trains his Master coaches who are the top coaches in his organization. Each coach receives over 250 hours of continuing education a year to maximize their use of Tony’s methods and tools. Nothing is really missing from Tony Robbins except a paid guarantee. Also, Tony Robbins’ coaches will likely promote their branded products and seminars, which is the core of their business. You may be encouraged to buy these extra tools at additional cost. So if coaching is all you want, you’ll need to be clear with your coach and ask them not to upsell you on seminars, etc. 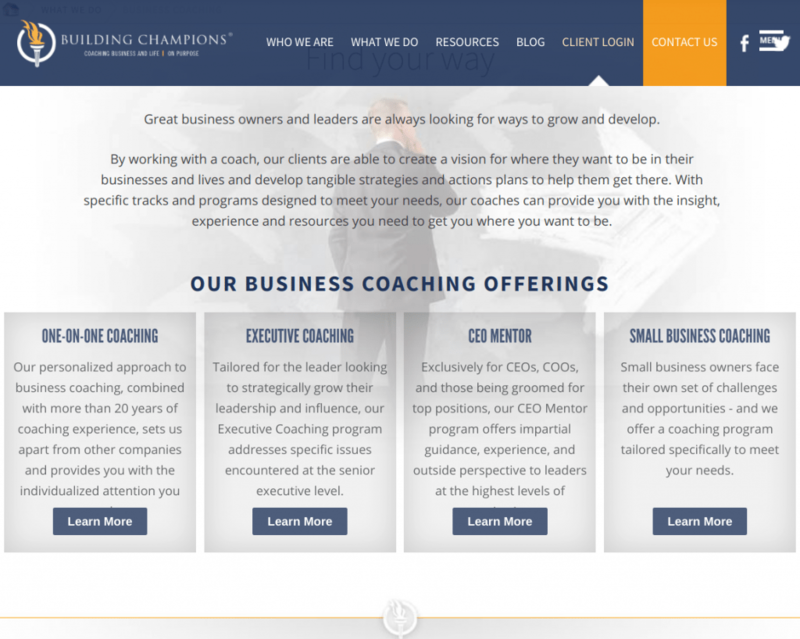 We recommend Building Champions for their focus on one-on-one business coaching, executive, and small business coaching, and their emphasis on developing leaders. They focus specifically on the leadership aspect of business and your role as a leader in operating and growing your company. They are also the only coaching program we reviewed that assists with business valuation. Building Champions begins the coaching relationship with an in-depth diagnostic questionnaire that focuses on interpersonal leadership skills as well as business needs. They really look at you, the business owner or executive, as a leader, and help you become more effective in that role. Building Champions has 23 coaches, all of whom have served as business owners or CEOs, so they know what it takes to get to the top. Unlike ActionCOACH and Tony Robbins, Building Champions coaches are less likely to use a standardized coaching model or approach. However, they have hands-on experience as business leaders. In addition, their pricing is all inclusive, unlike Tony Robbins, where you’ll likely be charged for any add-on tools or training that you want. To get one-on-one coaching with Building Champions, you’ll need to purchase a package that contains 23 coaching sessions to be completed within 10-12 months. The package costs $12,000, or about $1,000 a month, which is less expensive than some of the other programs like ActionCOACH. You do have to purchase the entire package, but fortunately, it’s all inclusive, meaning you get all the tools, assessments, group coaching, and events as part of the package. The initial 30-minute interview/consultation is free, so there’s no risk in calling for more information. In addition to business and life coaching, Building Champions offers team assessments, workshops, training, speaking events like keynotes and executive retreats. They also have a four-day in-depth peer-group coaching event they call The Experience. Once you complete an initial 30-minute consulting interview, you’ll be matched with a dedicated business coach. You’ll then receive a two-hour initial coaching session by phone to determine whether the coach is a good match for your needs. After that, individualized coaching occurs bi-weekly by phone in sessions that last between 30-45 minutes. Who are Building Champions Coaches? There’s no one coaching certification for Building Champions. Instead, their coaches all have proven experience as business leaders, whether as CEOs or business owners, across industries and companies of different sizes. The biggest drawback is that you can’t purchase coaching as a stand-alone option. You have to purchase the entire package that includes coaching. So if you just want one-on-one coaching and no group sessions, you may want to pass on this one. We recommend Leadership & Sales Academy (L&SA) for small business coaching as it is one of the few coaching organizations with a focus on sales in addition to business leadership. L&SA primarily offers business coaching on leadership, sales, and customer service. They coach on how to generate sales, and on how to lead sales teams and sales organizations. L&SA may be your best choice if sales or sales leadership is your top coaching need because they focus on you and your growth goals with a specific emphasis on business development and sales. Based on the assessments they provide, their coaching focus is more on interpersonal skills, behaviors and styles, and very customized to the individual being coached. There’s not a one-size fits all program like ActionCOACH or Strategic Coach have. They don’t follow a prescribed coaching structure. L&SA is one of the top-rated coaching firms based on SHRM customer feedback. Therefore, it’s been vetted by HR professionals, and you can be confident in the quality of their services. The coaching relationship begins with a set of diagnostic tools that determines your personal profile. They also assess general and emotional intelligence to find your strengths. They have about 15 coaches within various business disciplines, so you’d be assigned with a leadership or sales coach best matched to your needs and industry. After the assessments, you and your coach will spend up to two hours to determine your sales or leadership goals. At that time you’ll jointly determine how many coaching sessions might be needed to assist you in accomplishing your business objectives. Pricing is highly individualized with L&SA depending on the coach; there are no standard packages. However, they suggest that a typical package might include between 10-14 coaching sessions and start at about $9,000. 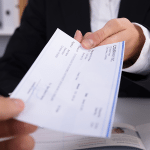 One-third of the payment is required upfront, the second one-third is made after 50% of the coaching has been completed, and the final payment isn’t due until the last coaching session. Coaching is one-on-one, personalized, and completed via video conference. The coach assigns homework, practice work-related exercises, for discussion and follow up at the next coaching session, where you and the coach discuss your results. Unlike some of the other coaching organizations that only provide coaching over the phone, video conferencing adds an element that lets you get to know your coach through face-to-face conversation. Video conferencing also lets you share documents, spreadsheets, and sales projections live during your coaching sessions. In addition to one-on-one coaching, L&SA provides management training, sales training and training seminars for sales leaders. They also offer what they refer to as a company performance diagnostic to help you evaluate your overall business strengths and gaps. 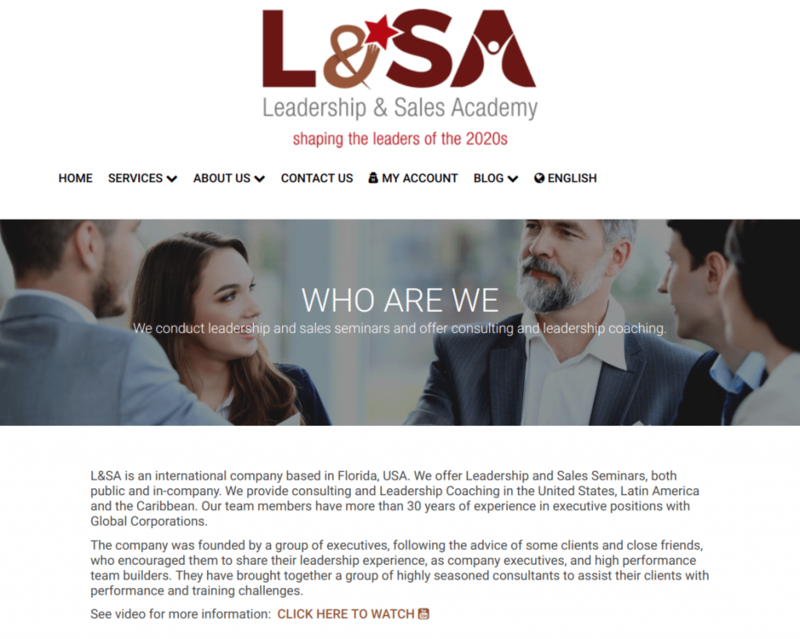 L&SA coaches are Harvard Leadership certified, and each is required to have at least 25 years of experience in various disciplines including international business, leadership training, and sales and executive mentoring. There are no standard packages or pricing, so you have to call and share your business concerns in order to see how much coaching you’re going to want or need, and how much that will cost. We recommend Strategic Coach as best for small business owners and business leaders who want to improve their personal effectiveness and grow all areas of their business, from HR to marketing, by working side-by-side with other business owners in a peer network. Strategic Coach offers a multi-day group-oriented workshop that focuses on every aspect of running your business. For small business owners, we recommend the Strategic Coach Signature Program that includes four quarterly workshops, 90-day business planning sessions, and ongoing access to your business coach via phone and email. A group of peers attend the initial workshop with you and cheer you along as you share your progress every 90 days at the quarterly workshops. 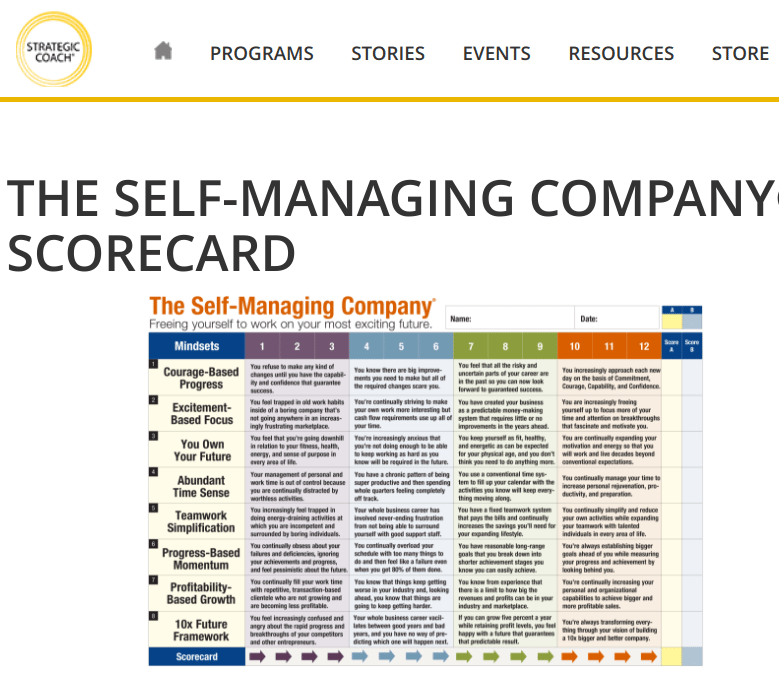 This is great for general goals, such as building leadership skills or motivating your staff. However, if you’re looking for short-term coaching to work through a specific issue, like how to raise money or improve your marketing, Strategic Coach is probably not the best option. They prefer longer coaching relationships and their program is geared to work over time, such as one year, with quarterly group updates. There’s no one-off pricing for just the coaching service. You get the one-on-one coaching via phone and email as needed when you purchase a Strategic Coach program. The Signature Program we recommend is $10,000 for one year. With Strategic Coach, the format is more structured. You sign up for an initial workshop to learn about the program, assess your business, and build a 90-day plan. You then have access to a coach following the workshop on an as needed basis. It’s not monthly or scheduled every other week like the other coaching programs. Your coach helps you as you execute your plan over the next 90 days. You’ll then join other business owners in re-evaluating your plan each quarter. Strategic Coach also offers assessments, guides, podcasts, articles and workshop sessions — both live and online. Who are Strategic Coach Coaches? Coaches are certified through the Strategic Coach program directly. By looking at their coaches’ bios, it appears they all possess extensive business and life coaching experience. If you don’t want to attend workshops, then Strategic Coach is not the best fit as you have to attend their quarterly sessions to get their one-on-one coaching. 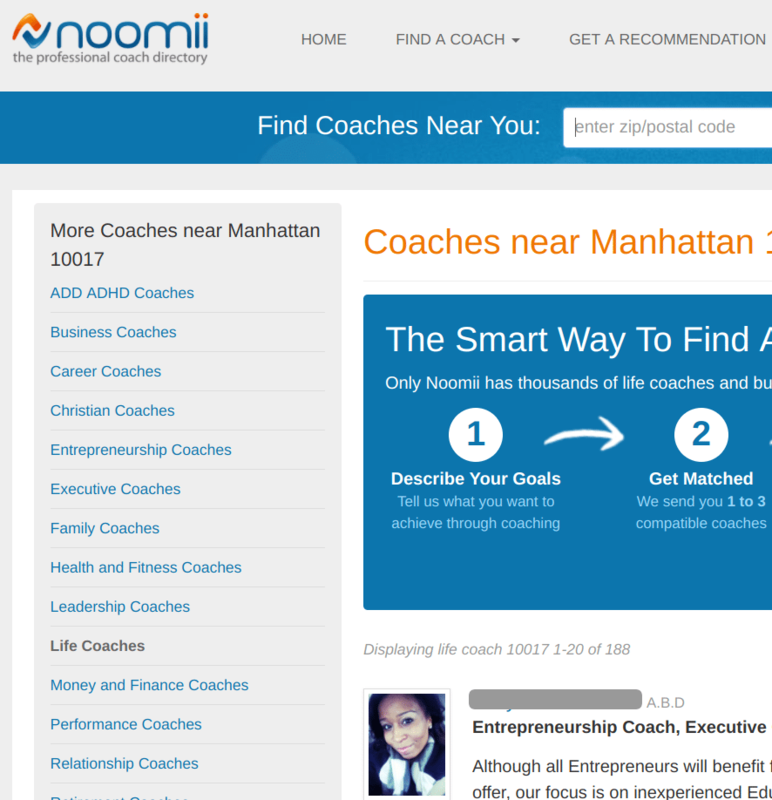 We recommend Noomii for small business owners who want to find a local coach. Noomi is kind of like Airbnb or Match.com for coaches. Unlike the other coaching services, Noomii is a coach finder; they match you with a coach based on what you’re looking for in a coaching relationship, including location. Noomii offers business, career, and executive coaches, in addition to coaches to help with relationships, health, finances, and pretty much anything else you could think of. You can search by location to see coaches, their areas of expertise, and their reviews from previous clients. Because Noomii has thousands of coaches worldwide and their coach search engine allows you to search by zip code, Noomii is your best bet for finding a coach in your neighborhood if you prefer face-to-face coaching. Of course, you can choose to work with a coach via phone or video conference, but for those who desire a coach that lives and works in their community, Noomii is best. The reviews also allow you to work with a coach who has a proven track record. In addition to the coaches that Noomii can match you with, they provide a corporate and group coaching program in case you want coaching for several members of your leadership team. Noomii suggests that prices vary from $75 per hour to about $200 per hour. However, we found that coaching is typically sold as a package — by the month, or by a set number of coaching sessions. So ask specific coaches you are interested in about package pricing to see if you can get a deal off the hourly rate. The coaching options with Noomii vary based on your needs and the preferences of you and your coach. Because each coach is an independent contractor, not affiliated with any larger organization, they may offer in-person coaching, small group local coaching, one-on-one phone coaching or video coaching. The topics and options offered are endless, from training, to webinars on topics from marketing to interpersonal communication. You choose the coach and format that works best for you. Coaches available through Noomii may have excellent coach certification, or they may have none. The challenge in coaching is that it’s unregulated and there’s no licensing or standardized certification like there is for a CPA or an HR professional, so buyer beware. Check out the reviews and credentials of the coach you’re working with to ensure they have the background needed to help you be successful in your business. For the most part, obtaining a coach through Noomii, or any other coach referral site that we’ve listed in our sister article on how to find a coach, will probably cost less than using a professional coaching organization. However, like any freelancer site, you’ve got to be diligent when selecting someone to work with. According to ICF, most coaches have about 125 hours of training and have some kind of coaching certification. But Noomii coaches are independent contractors, so you may want to try a few before you find one who is able to provide the exact services you need. As we mentioned in our sister article, how to find a business coach, finding the right fit is often more important than price when choosing an organization to work with. Business coaching is ultimately based on a personal relationship between the coach and you, the coachee. If you find the right organization and choose the right coach who helps you grow your business, your coaching fee pays for itself. In fact, ActionCOACH, one of our top picks, guarantees that. No matter which coaching company you ultimately go with, focus on finding a coach you trust and who has a good rapport with you. That is most critical to your success and that of your business. 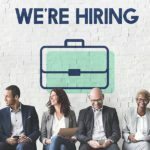 Is there a listing of “business coaches” that are industry specific? I am interested in a coach who has experience working in the retail power sport business. Several of the sites allow you to search for coaches using keywords. You might try “retail” or “power sports.” However, even if the coach hasn’t experience in your exact industry, they’ll bring insight because they understand how businesses operate. You are the content expert on power sports. They’re the expert on business. It’s a consulting partnership. Great information for potential clients to executive coaching. I read your article, The 6 Best Business Coaching Services for 2018; I’m curious what is your definition of “small business is”? Do you measure based off of revenue, employees, years in business etc. Complements to Ms. Laura Handrick the author of this article. We use a general term for small business. Often it’s businesses with 100 or fewer employees, but some businesses do big revenues with few employees. We also think of ourselves as a great resource for start ups. Thanks for the feedback!